It’s also called blue-green algae. Turns your smoothie a dark turquoise color, doesn’t add to flavor but does supposedly add to nutrition, with a high level of protein and essential vitamins. The aroma of the powder is not so pretty, sort of a stagnant waterfront smell. Or like your cat’s breath. And not so fast. 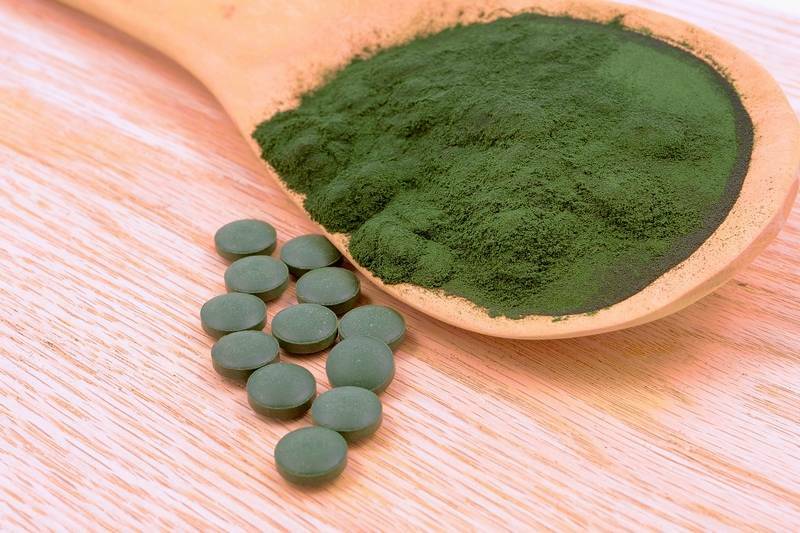 A healthcare professional and one of my most trusted sources of medical information, Dr Michael Greger, suggests skipping spirulina in favor of chlorella. Spirulina can contain dangerous toxins and therefore may cause neurological, liver and other problems. Eek! I just downed a smoothie made with pomelo, Meyer lemon juice, banana, ginger and Knudsen Mega C juice. And a teaspoon of powdered spirulina. Then I looked up “spirulina odor” and learned that if it is “unpleasant” it may have oxidized and shouldn’t be used. Not only does this one stink but I can smell it when the cupboard door is closed. Opening the door makes it stronger, and you could faint sniffing the closed container. So in the midst of writing this post, I found the receipt and put that and the spirulina into a ziplock bag to return. Aesthetic? Not so much. But then when I first saw this Daily Post topic, I thought it says anesthetic. Oh wow! Please be sure to let us know how you are tomorrow! Sending you happy thoughts! Other than a bit of upset stomach overnight, I’m fine! Thanks for your empathy. And thanks for visiting my blog!